Esteban Ocon Q&A: "If people speak about you, it’s always great!" Esteban Ocon gives an update on his future, life with Force India and who he thinks awill be lighting up the F1 grid in 2028. Amid strong links to a Renualt Formula 1 seat for 2019, Esteban Ocon gives an update on his future, life with Force India and who he thinks will be lighting up the grid in 2028. Esteban, looking back on your start to the season, how would you rate it? The team has been going through a lot of changes etc - how happy are you with your start to the year? 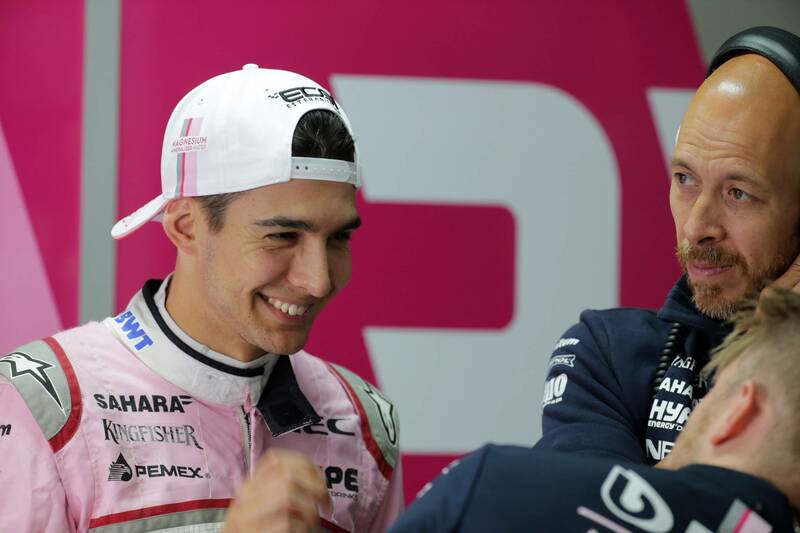 Esteban Ocon: I’m happy with how we’ve improved the situation. Looking back at Australia and testing, the car was hard to drive, and we were not happy with the performance we had. We’ve been developing very well through the season. Now we've arrived at the point where we have a great race car. We are fighting on the same level as the other midfield teams in the race, and just need a bit more in the qualifying pace. But I think we are going great so far. Looking at your own personal progression as well, if you take the Esteban Ocon of 2017 versus the Esteban Ocon of 2018 - how has he changed? Can you see big improvements? EO: Yes. He’s of course more experienced. I think I’ve improved a lot of aspects where I was lacking last year. EO: I won’t tell you that! [laughs] You just drive more, you experience more, you are sure about things, and you cope with difficult situations better. Where I had to work on quite a lot in qualifying, I’m happy with how I improved this year, and how I improved already between the beginning of last season and the end of last season, and get momentum. 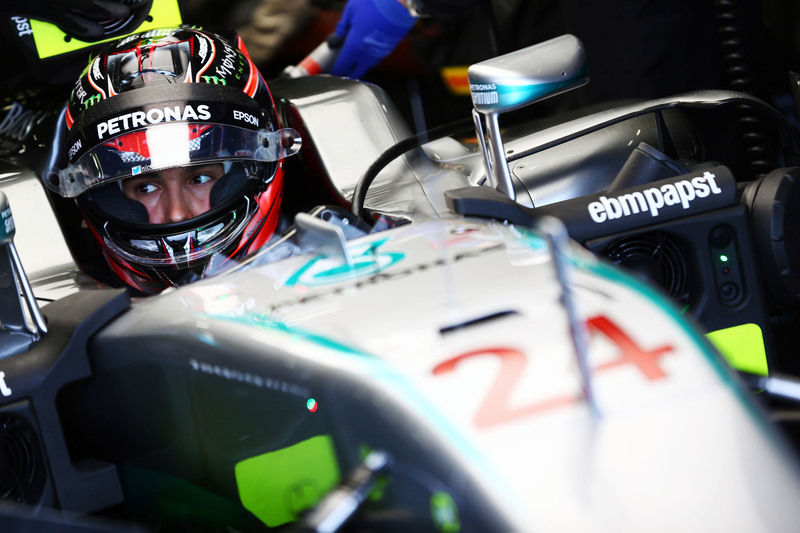 Do you think you have proven yourself as a Formula 1 driver in the last two-and-a-half years? EO: I don’t know. I hope so, yes! I hope my bosses are happy with the job I’m doing so far. That’s the important thing. On the rest, I feel good. That’s what I’ve done. You’re a Mercedes driver, and Renault seems to have quite a strong interest in you. It says something! EO: If people speak about you, it’s always great. It means that they are happy with what you do on-track. We’ll see. I’m not worried about my future at the moment. I still have plenty to do here, and big work to do. We have to get into that fourth place, which is a big challenge. So we’ll see. How is it possible a team with a relatively small budget can be such a strong contender? EO: It's true. I think we maximise everything. There’s nothing else. If you see aspect-wise, everything we have goes into the car. There’s no sparks or details or whatever on the side that are useless. Everything is going into the car. That team is an awesome race team. I think that’s why in the past years, the team has been good. On a recent podcast you did, you spoke about your background growing up and how everything your family did went towards racing. Can you see similarities here at Force India? EO: A little bit, yeah! [laughs] A little bit. I agree. Yeah. Coming from such modest roots, does it make it all the more sweet when your name is linked with all these top teams such as Renault and McLaren? EO: As I said, it’s good when people speak about you. It means that you are strong on-track and that people look at you and have interest. That’s how I see it. When you do a good result on-track, there are always plenty of rumours and things happening, so it’s good. You were linked to Mercedes before the team kept its line-up for 2019, and Valtteri Bottas is under option for 2020. Was is a bit disappointing for you not to get closer to that seat. EO: No. I knew all that before you guys - sorry! [laughs] I knew all that. The bosses have plans for me. I guess they want me to have more experience before they put me in the car. Do you think teams are more conservative concerning young drivers and giving them an opportunity? Look at Ferrari with Kimi Raikkonen. Mercedes could have picked you as well. EO: I think Mercedes, they are very talented people by choosing where to go and what to do with their drivers. They are very good at choosing that, because they are successful. But we will see. Maybe if Charles [Leclerc] goes to Ferrari and he’s doing well, maybe it will prove that younger drivers can also be at the front. But as long as there is not proper proof, it will stay like that for sure. After your F3 title win in 2014, you faced an uncertain future in racing - then you put in a call to Toto Wolff and things moved quickly from there. How has your relationship grown with Mercedes since then? How has it been to become part of this family? EO: It’s been great. Toto picked me up at a crucial time in my career, found a solution with Fred [Vasseur], and helped me to continue on my way to Formula 1. At the moment I’m very happy with Mercedes, how they support me. We are in contact all the time. There’s not at least a week where we don’t have a phone call with Mercedes or a group phone call with James Vowles or with Toto. We are always calling each other. That’s fantastic. They give me their opinion, I give them mine. They help me on what I should improve or not. It’s a great help. Mercedes is managing your career - if you went to Renault next year, would you still be with Mercedes? EO: I will be with Mercedes for years, yes. Even if you would go to Renault? Who are the drivers who you envisage yourself fighting at the front of the F1 field with in 10 years’ time? EO: I think Charles will be there. I think Max [Verstappen] will be there. I think Pierre Gasly will be there. Who else… Probably George Russell will be there. And Lando Norris. I think there’s quite a lot of young drivers who will be at the top in the future. Force India has been through some financial struggles this year - does that come into your mind when you’re thinking about next year and your future with the team? EO: What I see is the same as I saw last year. To be honest, I don’t see any changes. We have new parts on the car. We had a new steering wheel a long, long time ago. This season we had as many new parts as we had last year. I heard all the situation, but for me, it’s not as bad. Who is driving at the F1 Hungary test?